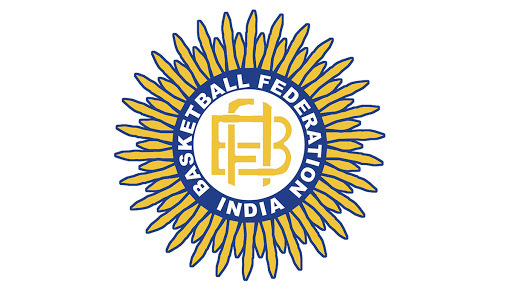 Bhavnagar,Jan 14-Punjab men after beating Tamil Nadu the other day, repeated a cohesive performance to defeat last year’s runner-up Services 74-65 to be crowned the men’s champion of the 69th Senior National Basketball Championship at the Sidsar Sports Complex courts on Saturday. Punjab outplayed a spirited Services with some consistent scoring and formidable defense. Arshpreet Singh Bhullar and Jagdeep Singh excelled in the match and hardly missed any chances to score while Amritpal Singh formed a defensive fortress which Services found hard to get past. A quick time out call by Punjab coach Gurkirpal Dhillon at this point, changed the mind set of Punjab players and defensive strategies were implemented to curb the attacks of Services, which worked for Punjab. This was Punjab’s seventh title. The last time they won the title was at Chennai in 2011. For the women’s title, Indian Railways won 88-71 over Tamil Nadu to claim its 29th title . Tamil Nadu, with a bunch of spirited college girls, played fearlessly against an experienced Railways side. Railways women made best use of their rich experience to keep Tamil Nadu women at bay, in a well contested match.The bench strength also helped Railways to last the whole match. Punjab’s Amritpal Singh and Tamil Nadu’s S. Pushpa got the Most Valuable Player award in their respective categories. The results: Men: Final: Punjab 74 (Arshpreet Singh Bhullar 24, Amritpal Singh 15, Jagdeep Singh 19) bt Services 65 (Joginder Singh 26, Isaac Thomas 11). Third place: Tamil Nadu 84 (Muin Bek 20, Justin 19, Hariram 17, Jeevanantham 10, Rikin Pethani 10) bt Karnataka 65 (Rahul Sarathy 16, Jitender 17, Shashi Kumar 12). Women: Final: Indian Railways 88 (Raja Priyadarshini 23, Navaneetha 16, Ramya 13, Sitamani Tudu 11, Bandaviya 11) bt Tamil Nadu 71 (Sathya 21, Dharshini 12, Pushpa 12, Nishanthi10). Third place: Kerala 79 (P.S. Jeena 21, Poojamol 18, P.G. Anjana 13, Stephy Nixon 12, Kavitha Jose 11) bt Chhattisgarh 73 (Poonam Chaturvedi 41, Deepa 12, Seema Singh 12).